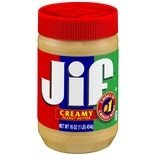 Shop Jif Peanut Butter Creamy (16 oz. )16 oz. 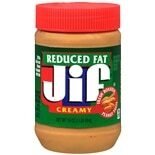 Shop Jif Peanut Butter, Reduced Fat Creamy (16 oz. )16 oz. 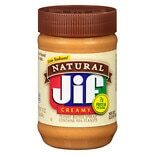 Shop Jif Natural Creamy Peanut Butter (16 oz. )16 oz. 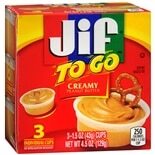 Shop Jif Peanut Butter Creamy (4.5 oz. 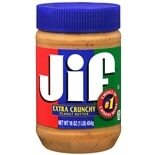 )4.5 oz.